Cool nights at last. The persistent warm weather has finally loosened its grip and a climate resembling normal is prevailing. The days are still fine and mild, but the nights are cool, which is important for some of our nursery practices. The ground dried quickly after rain, earlier this month, indicating poor levels of sub soil moisture. Climatic conditions are currently indicating a cold, but short, late winter. Day temperatures have been in the low to mid-twenties. Nights are between high single figures up to early teens. 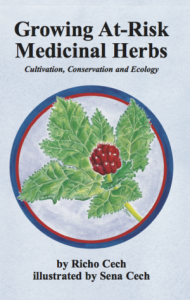 Orders for the dormant roots of Golden Seal, Bloodroot, Black Cohosh, Blue Cohosh, Horny Goats Weed and Golden Root will close mid-June for delivery during July. Bare-rooted trees need to be ordered by early July for August delivery. 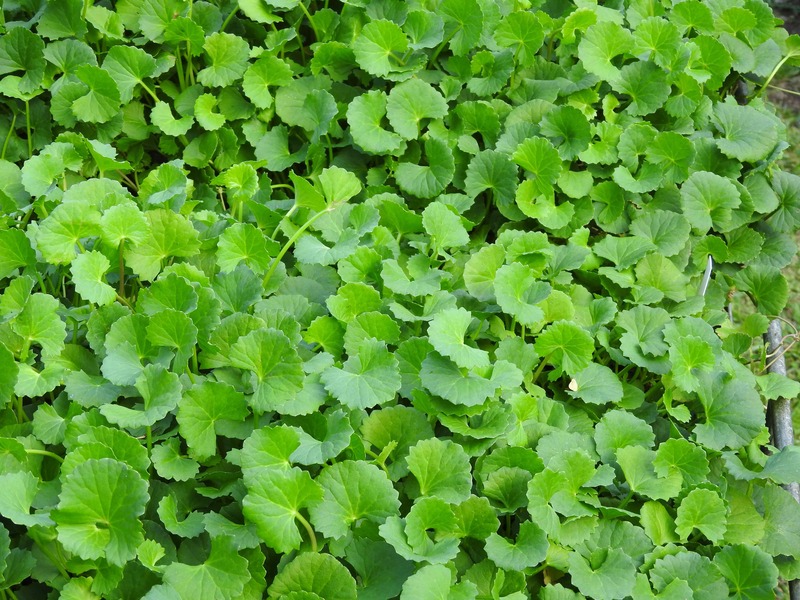 Prolonged warm weather has further delayed Wasabi plants. Expect Wasabi to be ready early July. Make use of the Wait List function for email notification. Recently returning to stock are Ayahuasca, Horseradish, Calendula, African Marigold, Herb Robert, Catnip and Ladies Mantle. 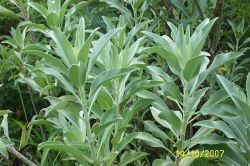 Asafetida should be ready late July, as should the next batch of White Sage. Looking exceptionally good in the shade house are Damiana, Betony, Curry Leaf Tree, Chickweed, Patchouli, Calea, Sambung and Yerba Mate. The end of May indicates the end of propagation by cutting. Warm days (and warm soil) combined with cool nights of May are ideal for vegetative propagation of woodier plants such as Yerba Mate, Holy Basil, Ayahuasca and American Elderberry. In late June Siberian Ginseng will be propagated as hardwood cuttings. Seed sown recently includes Oregon Grape, Sagebrush, Cape Gooseberry, Woodruff, Sweet Violet, Edelweiss, Tea, Dong Quai and Burdock. Seed returning to stock includes Clary Sage, Sweet Annie and Sheep Sorrel. Wasabi seed should be ready late June together with the seed for Rooibos – use Wait List function for email notification. There is so much that could be said about this book of outstanding merit. Suffice to say it is a must-have for the growers of Golden Seal, Kava, Bloodroot, False Unicorn, American Wild Yam and other difficult to grow species endangered in the native habitat. Available again, finally. Now as a second edition. June plant and seed specials will be notified next week. African Marigold plants will be continued from last month as stock sold out very quickly. Seed for Golden Seal is currently on sale – still time to sow for spring germination. May is mid-autumn, by the horticultural calendar, and the life cycle of each plant has now determined the performance for the winter period. Chickweed is joyfully expanding over the ground in the preferred season of growth in our sub-tropical climate, while Siberian Ginseng is busily building energy reserves in preparation for winter dormancy. Made famous by Russian athletes for decreasing recover time after physical exertion. Now broadly used to treat exhaustion of all types, including physical, emotional and sexual. Native to Siberia, this species shows remarkable adaptability, thriving in all climates and most positions. Habit changes with climate and position. In full sun in the sub-tropics (photo above) habit is large, generous and expansive. When grown in shade in the same climate, the habit is compact, reserved and (almost) demure. Medicinal action is that of an adaptogen, balancing out any existing imbalances in the organism. 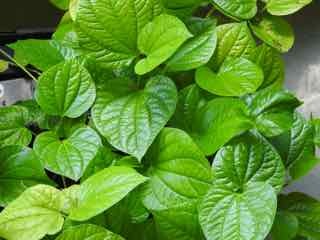 Plants with adaptogenic properties generally have a common name which refers to Ginseng. Korean or Asian Ginseng is the best known adaptogen, others include Maca (Peruvian Ginseng), Ashwaganda (Indian Ginseng), Golden Root and Jiaogulan. Although it is the root harvested for making plant medicine, the leaves also have the same medicinal properties, albeit much diluted in comparison. Propagation by seed is challenging, but rewarding. Vegetative propagation is much easier. 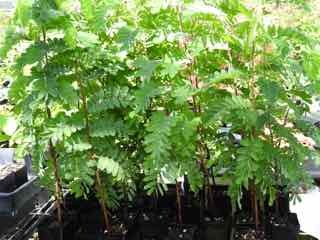 Semi-hardwood cuttings in late spring to early summer, or hardwood cuttings in winter. Suitable for all climates and areas in Australia. Chickweed is our favourite forage herb. It has naturalised in our valley and now eagerly volunteers in late summer, in permanent shade, all through winter into spring. This plant is highly underrated and undervalued. In southern areas, this species would be an annual over summer. 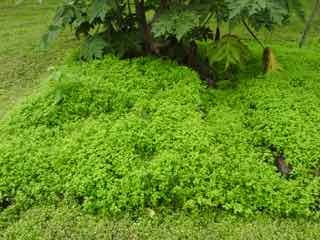 Chickweed performs as a luscious ground cover under established perennial and evergreen shrubs and trees. It is a straight forward plant to weed if the ground space is required, with a single plant covering up to a quarter of a square metre. The foliage makes a nutritious pesto in its own right, or combined with parsley – delicious. Skin treatments and cosmetics are also made from Chickweed. In the world of herbs, Chickweed would be second only to Nettle in terms of nutritional value. An important tonic food for all poultry and birds, particularly caged birds. Chickweed is one of the few readily edible herbs containing a richness of copper. Praised by Turkish gypsies, not only for its edible qualities, but also its potent medicinal properties, containing many of the soothing and tonic powers of Slippery Elm. Economical to grow, producing a lot of foliage in a small area. 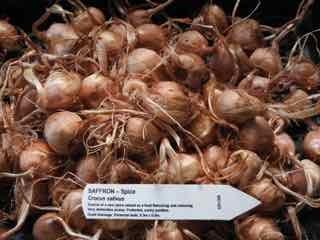 Easy to propagate from seed and quick to establish. Suitable for all coastal, mountain and inland areas. Suitable for moist soil in partial shade to shade.